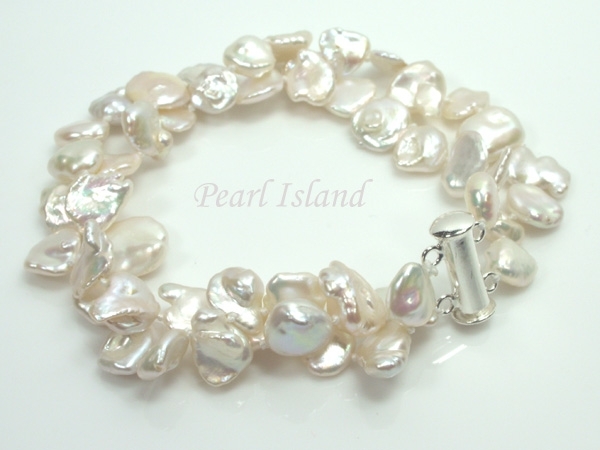 Princess 2-Row / 2-Strand White Freshwater Keshi Pearl Bracelet - Keshi pearls are rarely found, which have cornflake shapes with high lustre and have light natural blemishes. Absolutely stunning. 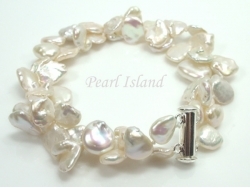 Keshi pearls are non-nucleated pearls formed by accident as by-products of pearl cultivation. Keshi is a Japanese word means “poppy seed”. 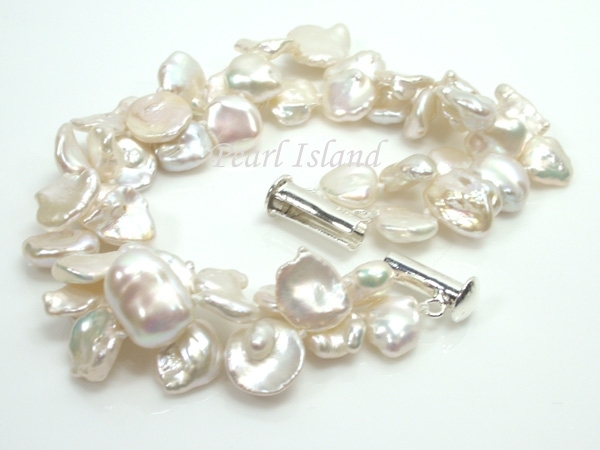 As Keshi pearls are formed after the oyster rejects and spits out the nucleus, there is no nucleus to guide to certain shapes. That’s why they grow into very unusual shapes, such as cornflake shapes. Now Keshi pearls are even rarer, because many pearl farms use x-ray to check if oysters expel nucleus and re-nucleated the ones have expelled.